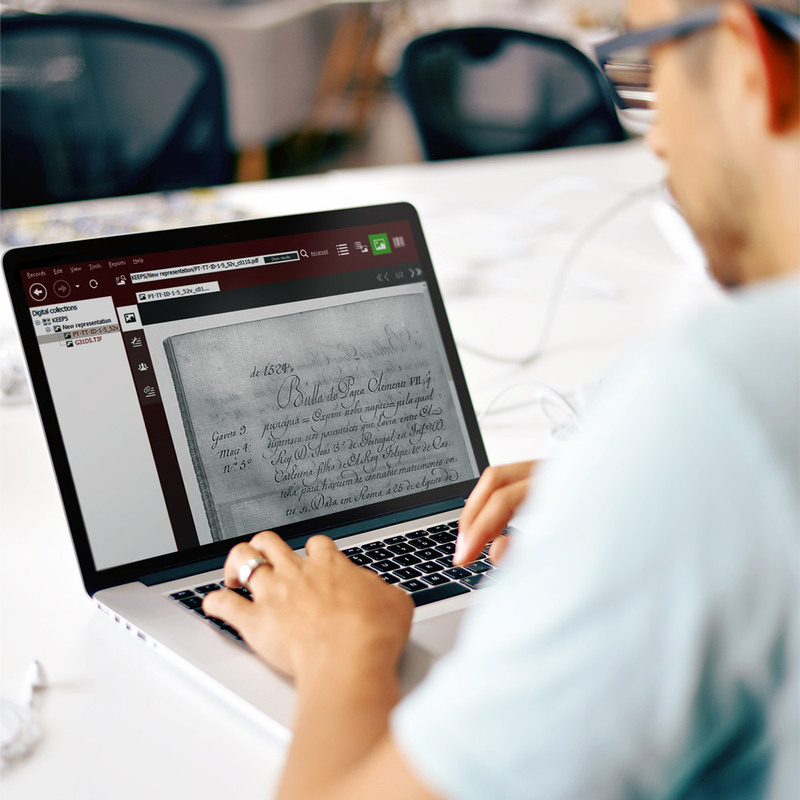 Archeevo is an archival management software that aims to support all the functional areas of an archival institution, covering activities ranging from archival description to employee performance assessment. 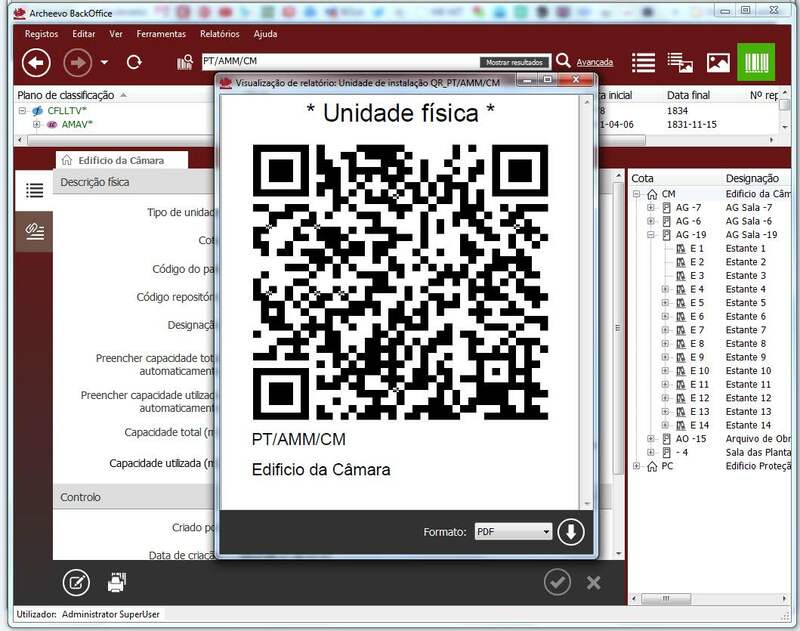 This software is the market leader in Portugal. 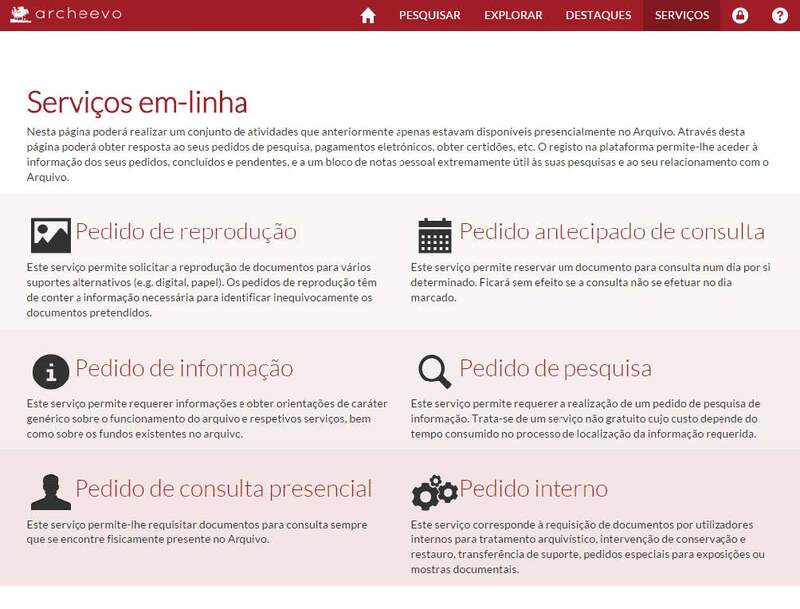 Among its users are the Presidency of the Portuguese Republic, the Navy, the Army, the Armed Forces, several Ministries including the ministries of Internal Administration, Economy, Public Works, Education and Science, among dozens of other reference institutions. 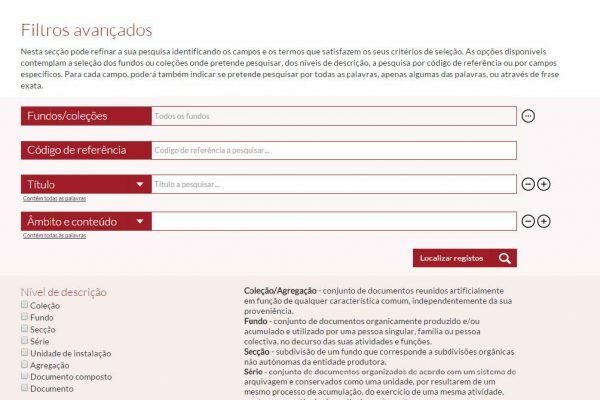 The first three are intended to support archival description processes and the management of authority records. The following two ensure interoperability with other archival management systems. 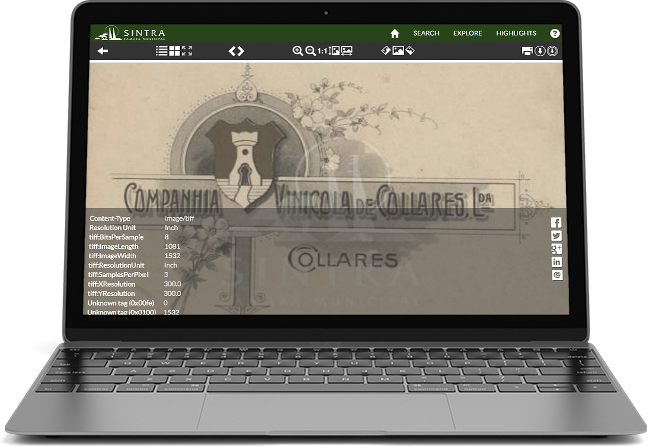 The last one allows the integration of the software with content aggregating portals, such as the Archives Portal Europe, Europeana, and others. 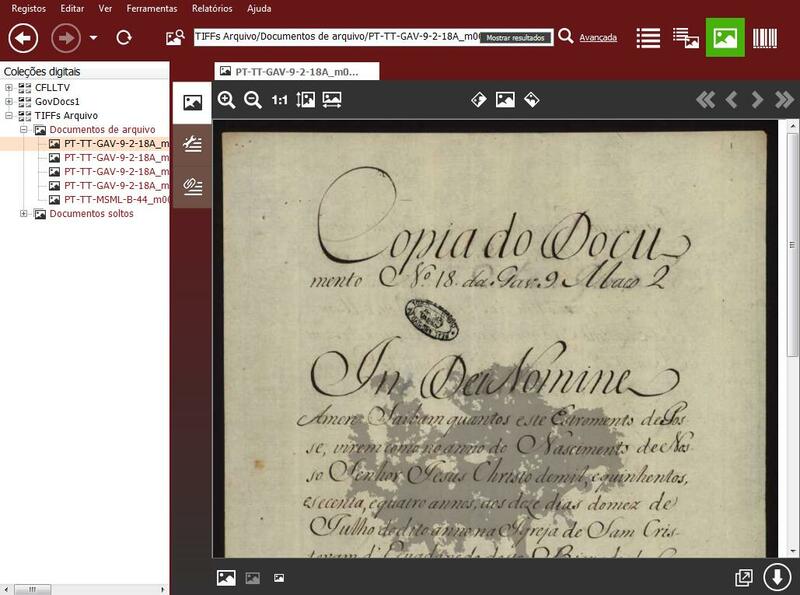 This product has more than 10 years of development, taking into account an accurate process of requirements gathering among hundreds of professionals who use this software on a daily basis in more than 60 archival institutions. Through its functional modules, Archeevo delivers functionality to perform and manage all the activities found in an archival institution. Among these are archival description, management of physical storage rooms, management of digital assets, web publishing, virtual reference room, reporting, productivity assessment, systems integration, etc. 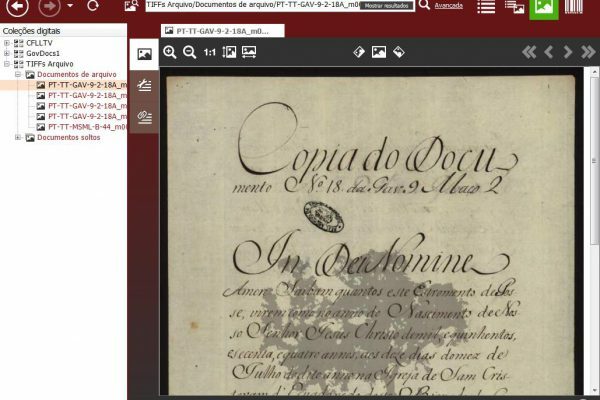 This software covers all functional areas of an archival institution. 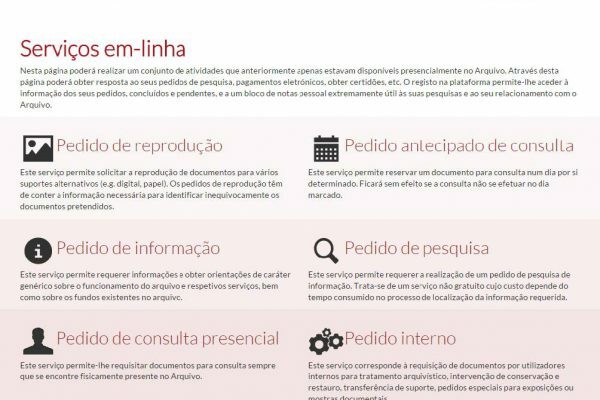 Archeevo supports the management of the entire lifecycle of the documentation during its semi-active and inactive phases. The software allows the user to establish the retention periods and define its final destinations. When the retention periods are exceeded, the documentation can easily be eliminated or transferred to another archive, accompanied by the respective consignment and manifest reports. Archeevo has a continuous development cycle that guarantees a permanent and sustained evolution, remaining in line with the latest international standards, best practices and technologies. The development of new features is based on suggestions provided by real customers, allowing the software to evolve and adapt in perfect harmony with the needs of its end-users. 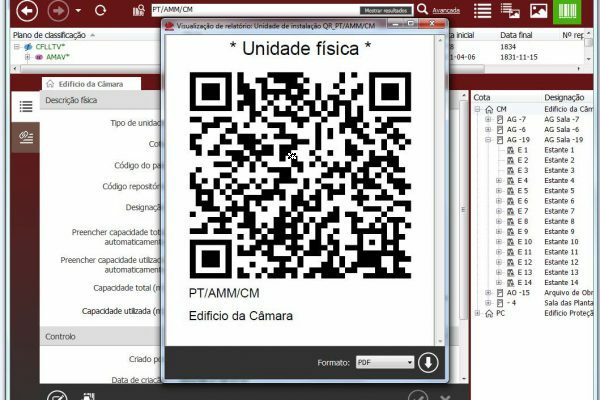 Due to its configurability, this software is suitable for all types of institutions, regardless of their size. Among other aspects, it accounts for the configuration of description levels and its associated fields, numbering standards, definition of watermarks for scanned documents, definition of indexing terms, thesaurus, etc. Archeevo has a set of automatic features that enable the user to perform complex operations in a fraction of seconds. 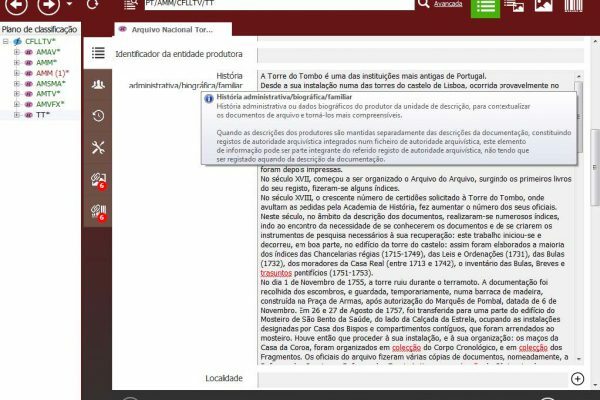 Examples of these include the dates and extensions inference engine capable of processing hundreds of thousands of records in a few seconds updating information on top-level description items with information calculated from its descendants, a descriptions’ quality assurance tool which facilitates the task of reviewing and correcting archival incomplete record descriptions, the “Find and Replace” feature which allows the user to transversely resolve issues in finding aids, etc. 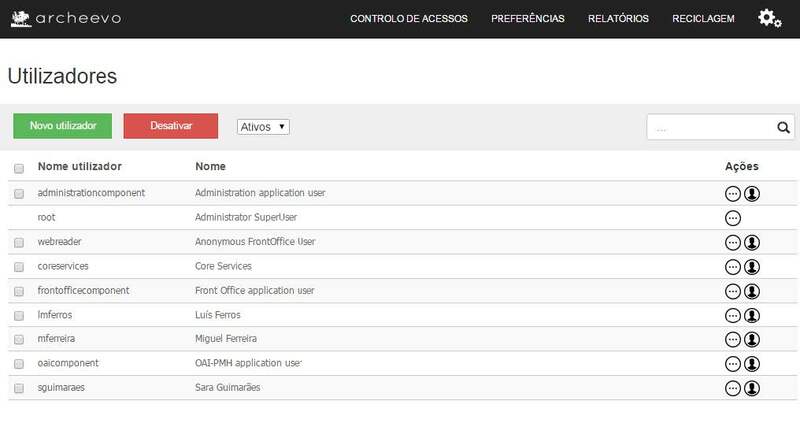 Both the Backoffice and the Frontoffice modules deliver a modern and intuitive design, privileging usability through visual metaphors widely known by every user. All operations are reachable at the distance of a few mouse clicks. 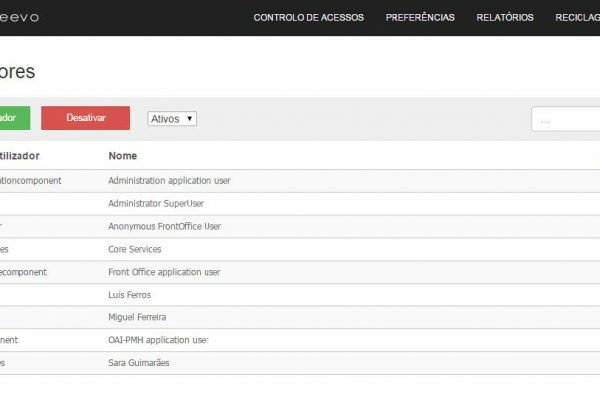 It supports drag-n-drop to simplify complex operations such as move records between hierarchical classification structures as well as to establish relationships between different types of entities. 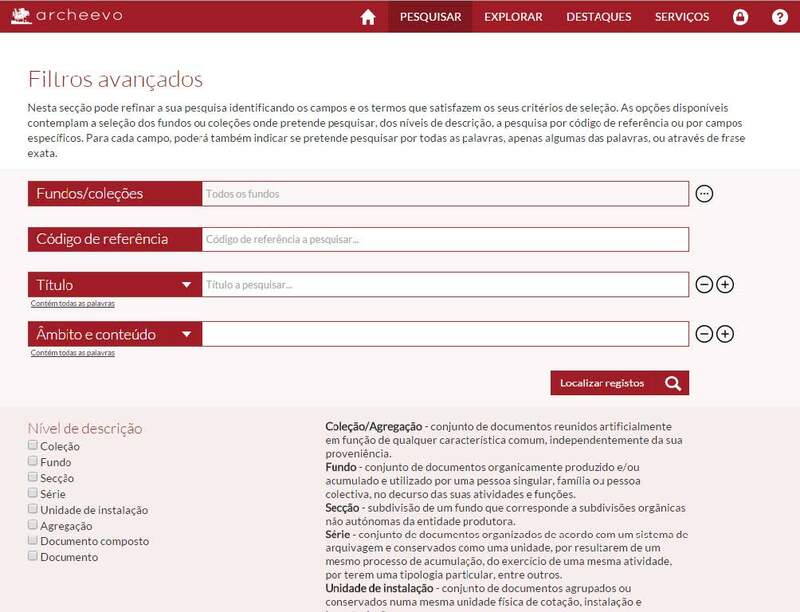 The design of the Frontoffice module can be personalised to meet the branding guidelines of the client institution, making each implementation unique and exclusive. Archeevo incorporates a set of features that make it a highly secure system. Among these, the following stand out: 1) data exchanged between the client applications and the server are encrypted using the HTTPS protocol; 2) records are never definitively deleted, instead, they are deposited on a recycling bin and can be restored afterwards; 3) all changes to records are conserved in the history, so it is possible to retrieve a previous version of a description record; and 4) accesses to features and records are conditioned through access permissions; 5) all operations done on the system by users and services are recorded in a detailed log. 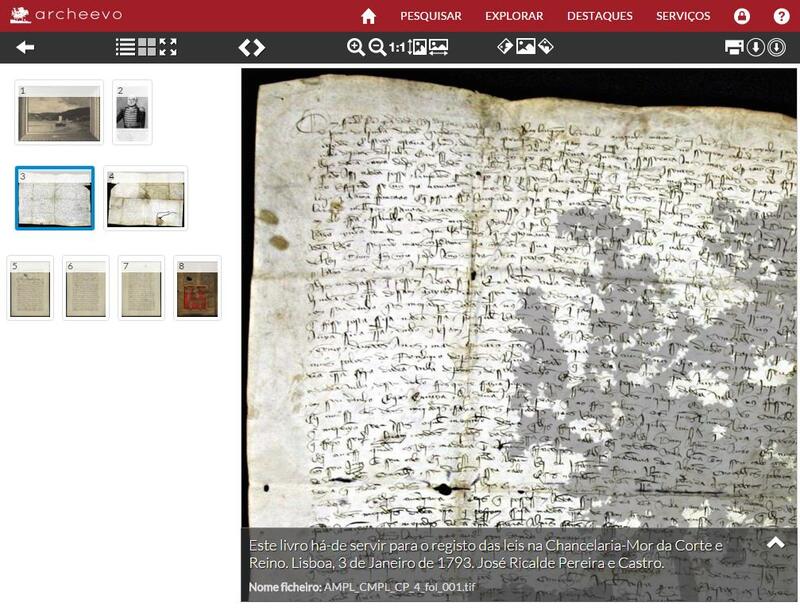 Archival information can be published on the Internet with a simple mouse click. Users can easily publish record descriptions and associated digital representations making information immediately available online for consultation by end-users or other stakeholders. Once information is made available to the general public, additional services can be provided on top of archival records. The Virtual Reference Room module, enables end-users to submit service requests on published records. Archeevo supports information volumes in the order of millions of records without any performance degradation. Using a convenient search bar, it is possible to directly access record descriptions and digital representations by simply introducing a reference code or any other metadata attribute. 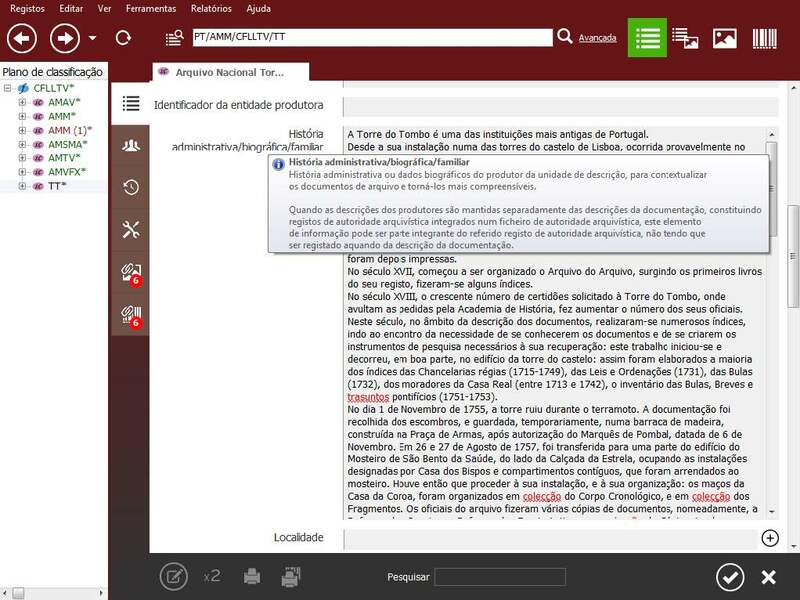 The system supports the integration of Terabytes of digital objects with automatic generation of dissemination versions with the inclusion of watermarks, extraction of technical metadata and full text extraction, respecting the highest performance and quality standards. Integration with service providers, e.g. 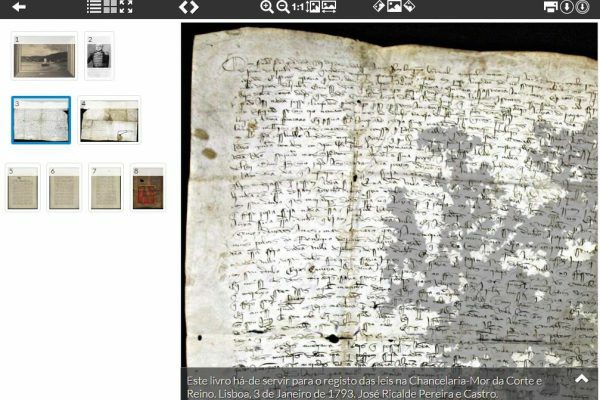 Europeana, Archives Portal Europe. SLA of availability > 99%. 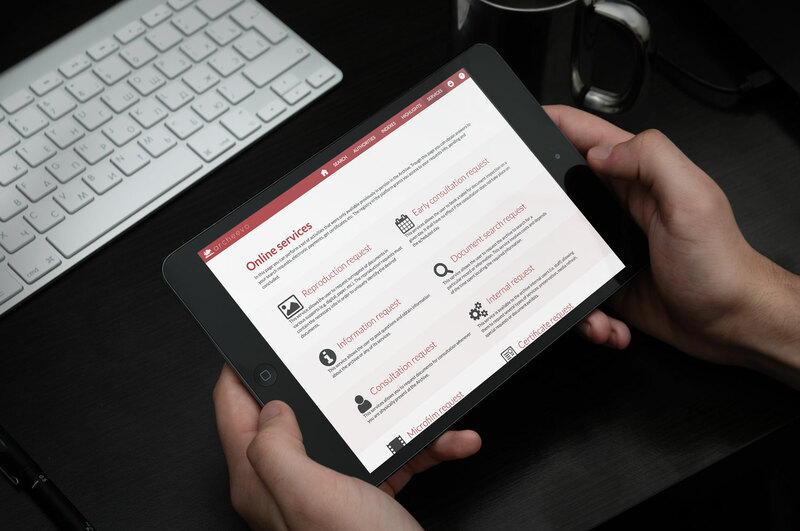 Clients can takeout their information in open standard formats at anytime.